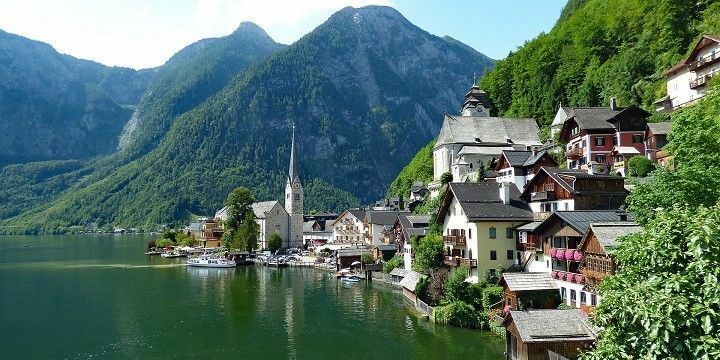 Birthplace of Mozart and Arnold Schwarzenegger, production site of the Sound of Music, producer of Kaiserschmarrn and Wiener Schnitzel, and, of course, home to incredible mountains, Austria really has it all! The country offers plenty of routes for hiking (some of which will even take you a few days to complete), mountain biking, rock climbing, canyoning, skiing, snowboarding, and sledding, to name but a few! You’ll also find Europe’s biggest waterfalls — the Krimml Falls — and the world’s largest ice caves in Wergen, which will make your vacation unforgettable. Austria features a huge number of ski resorts. With more than 600 ski resorts and almost 1,000 summits at over 3,000 meters high, it is no surprise that Austria is a world-famous destination for winter sports. 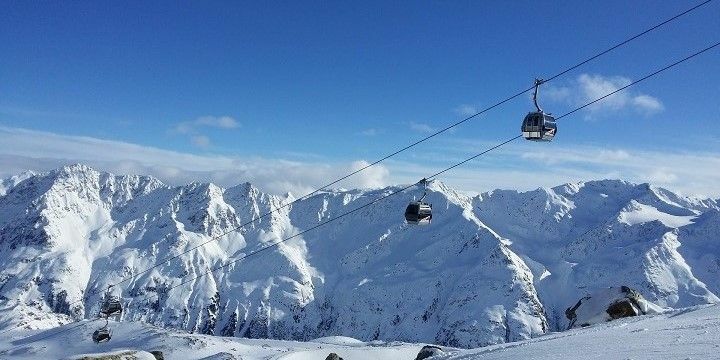 Vorarlberg, Tyrol, and Salzburg are the country’s most popular ski areas, whilst glaciers such as Kaunertal, Pitztal, and Stubai Valley (Stubaital) offer visitors the opportunity to take to the slopes in the summer months. Most of Austria’s ski resorts are fairly small, but if you’re looking for a livelier atmosphere, Innsbruck has a great combination of winter sports and city fun. However, you don’t have to take to the cities to find incredible nightlife, as most of Austria’s ski resorts — such as Ischgl, Sölden, and Kitzbühel — transform into après ski party destinations after dark. The latter is also the host of the famous Hahnenkamm Race, which attracts top ski athletes and celebrities alike for its week of snow-filled events. At the foot of many of the country’s mountains, you’ll find some breathtaking lakes, where you can sail, surf, dive, or fish. Whilst the lakes in the mountainous regions are extremely cold year-round, Lake Hallstatt, Attersee, and Traunsee in Upper Austria as well as Wörthersee in Carinthia (Kärnten) offer much more pleasant temperatures. Lake Hallstatt is a well-known destination in Austria. If you’re not a fan of deep waters, head to Lake Neusiedl (Burgenland). Although it’s the largest lake in Austria, its deepest point is only 1.8 meters. After a dip in the lake, check out the region’s other gem: it's wine! It is known as one of Europe’s most beautiful wine regions. With more than 300 days of sun a year, the climate is perfect for grape growing. Schönbrunn Palace is one of Austria's impressive landmarks. Historical landmarks meet modern architecture in Austria’s capital, Vienna. 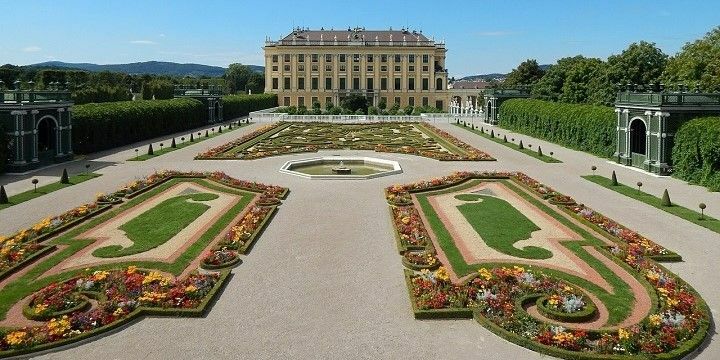 If you want to explore the country’s heritage, visit the enormous Schönbrunn Palace — which was used as Napoleon’s headquarters during his occupation of Vienna in the early 18th century — or the city’s central cemetery, where you’ll find the graves of Beethoven, Brahms, and Bröhm. Be sure to take a stroll across the entire park to take in all of its beauty, including its wild deer. In its other districts, Vienna surprises visitors with its unique, contemporary buildings, such as the extraordinary Hundertwasserhaus and Kunst Haus Wien. Salzburg is another must-see Austrian city. Take a trip to Salzburg’s Old Town, where you’ll find the Festung Hohensalzburg (Salzburg Castle), built in 1077, which you can access by foot, or via funicular. Other impressive sites include the baroque Mirabell Palace and Gardens — which feature in The Sound of Music — and the Makartsteg Bridge, Salzburg’s own love lock bridge over the Salzach River. If NextStop24 helped you to choose your next travel destination, we'd be very grateful if you’d search for your accommodation and things to do in Austria through these links. They're affiliate links, which means that we will receive a small commission for every booking made through them. There are no extra costs for you; you'll simply be helping to keep NextStop24 running. Thanks! I just moved to Innsbruck and fell in love with this city already. The picturesque town center with lots of shopping facilities and bars, the friendly people and the impressive mountains you can see from anywhere you are make it highly livable and always worth a trip. A must-see for any outdoor enthusiast who doesn't want to miss out the advantages of a vibrant, modern city! The Austrian alps are a must-see for any outdoor enthusiast. We've been hiking on remote mountain trails in "Pinzgau", relaxing at lake Durlaßboden for fishing and searching for tasty mushrooms and wild berries in the forest. There is only few things I can think of doing outdoors that can't be done here, all at little to no expenses. Actually, the more rural and beautiful the area gets, the cheaper and better the food and accommodation. Just make sure to check out the weather forecast and be prepared for all circumstances: We had thirty degrees Celsius and heard there was snow the weekend after!